WHAT'S YOUR FISHING CHARTER VISION? Up to six passengers, with maximum of three fishing at a time. Anglers of all skill levels will have fun, and catch fish! Fishing Spanish & King Mackerel, Cobia, Barracuda, sharks, Permit, and more. Fishing the Gulf of Mexico’s near shore artificial and natural reefs plus wrecks. Captain Van’s Premium Tarpon, Snook Trips for up to six passengers, but two active/casting anglers (possibly three snook fishing) at once. 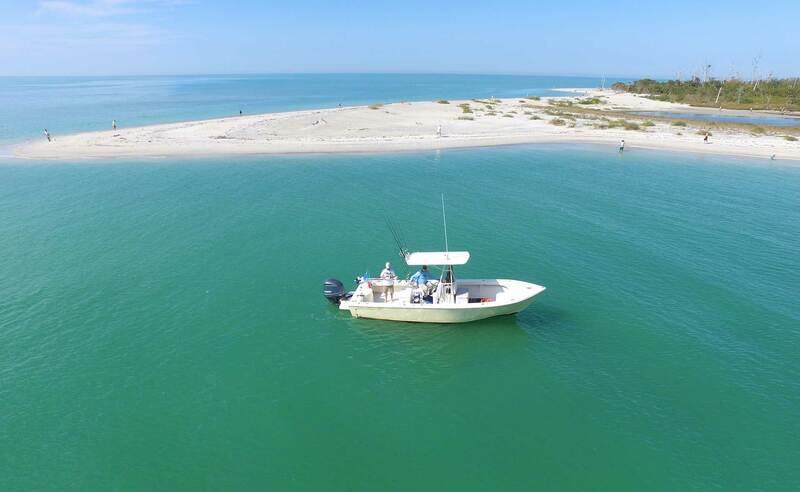 For 40 years, Captain Van Hubbard has provided his customers with courteous, professional fishing charters and first-class access to the inshore and near-shore waters surrounding Boca Grande and Venice, Florida. Using quality tackle, Captain Van has over 100 rigs to select from to optimize every opportunity encountered on the water. His forty plus years local guiding experience ensures joy and a memorable adventure for anglers of all ages and experience levels. As we explore the area we discover new adventures, we take advantage of whatever fish we encounter. We can target specific species if you choose or whatever is biting. Also, we enjoy dolphins playing, sometimes even surfing in our wakes. Birds like eagles and osprey soaring by; maybe spoonbills bright pink and shining in the golden sun light, plus fine fish pulling your string. We are prepared for the unexpected... Ready to take advantage of fleeting fishing opportunities. My lifetime of fishing local waters affords me insights that most others haven’t acquired. Forty years of local guiding experience enhances your odds of a successful trip. I’ve learned that if we set out to enjoy an awesome day on the waters of our Venice Beach, Charlotte Harbor, to Boca Grande, Florida our success is guaranteed! Since we can’t control what we discover, we take advantage of anything we encounter.